In 1654, when New York governor Peter Stuyvesant needed help collecting taxes, he turned to Deborah Moody for help. The career of the Salem, Mass., woman then came full circle from outcast to political power broker. Sketch of a woman in 1640 by Wenceslaus Hollar. A friend of John Winthrop, Moody came to Massachusetts to escape religious intolerance in England sometime before 1640. Moody's husband, a baronet, had died 10 years earlier. Her son had sold most of the familial lands in Wiltshire. In trying to reestablish her life as a widow, Lady Moody had visited London where she attended some of the more exotic religious services of the day among the Baptists and Quakers. Deborah Moody became an Anabaptist, a school of thought that held people should not be baptized as children but rather as adults. Lady Moody's behavior was brought before England's Star Chamber, the high court that heard cases involving prominent people, such as the nobility. The king limited how long people could live away from their ancestral homes, and the court ordered her to return home. Unhappy with her options in England, Moody considered joining Winthrop and his settlement in America. Though she had long criticized the Church of England, the prospect of joining in the new colony had initially seemed too daunting. But with this new frustration, Deborah Moody decided to move. At age 54, she pulled up stakes and sailed for America. She first settled in Saugus, and was granted 400 acres for a plantation. Shortly, however, she bought a small house in Salem, and then farm of more than 1,000 acres from John Humphrey in nearby Swampscott. Humphrey, a one-time deputy governor of Massachusetts, had grown tired of the new colony and was returning to England. Her new neighbor was Rev. Hugh Peter, also a fellow member of the church at Salem. Given her unconventional beliefs she could hardly have chosen a worse neighbor. Peter was one of the ministers who had successfully prosecuted Anne Hutchinson just two years earlier for her Anabaptist beliefs. Peter succeeded in having her banished from Massachusetts. The church called out Lady Moody for her illegal religious beliefs and would eventually cast her out. Faced with the increasing hostility toward her beliefs, Deborah Moody decided to leave Massachusetts just as Anne Hutchinson and Roger Williams had. Rather than head for Rhode Island, however, Moody chose New Amsterdam (now New York). 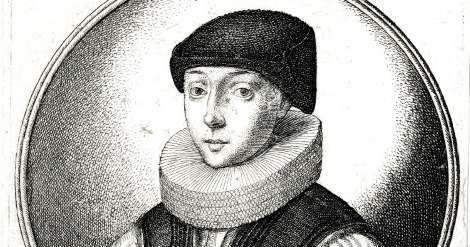 John Winthrop noted in his journal: "The Ladye Moodye, a wise and anciently religious woman, being taken with the error of denying baptism to infants, was dealt withal by many of the elders and others, and admonished by the church of Salem (whereof she was a member); but persisting still, and to avoid further trouble, etc., she removed to the Dutch, at the advice of all her friends. Many others infected with Anabaptism removed thither also. She was after excommunicated." Moody and a group of her followers who relocated in 1643 to New Amsterdam found the Dutch government much more tolerant. She still had considerable wealth, and New Amsterdam welcomed her. The governor granted her 7,000 acres on the southwestern tip of Long Island. She called her new settlement Gravesend. But the new town had a rocky beginning. Though she had cautioned all her fellow settlers to pay the local American Indians for any land they wanted to use, there were misunderstandings. The local Indians did not embrace the concept of property ownership. Payments were for fishing rights, they believed, while the colonists expected full ownership of the land they paid for. Soon, the Indians attacked and the settlers gathered in Lady Moody's sizeable home for protection. Deborah Moody toyed with the idea of returning to her home and land in Massachusetts. Peter had by now returned to England. He would eventually be executed as a regicide for his role in the trial and execution of Charles I. But Peter was not the only enemy Moody had. Moody wrote to Winthrop asking whether she might return, and on-again, off-again governor John Endecott urged him to advise her against it unless she was prepared to renounce her views. "I shall desire that she may not have advice to return to this jurisdiction, unless she will acknowledge her evil in opposing the churches and leave her opinions behind her, for she is a dangerous woman," Endecott wrote. Moody and her fellow Gravesend villagers fortified their small town and dug in. Over the coming years, the town grew and Deborah Moody earned widespread respect. Gravesend did not adopt a single, sanctioned church. Rather, people worshiped as they wished with many, like Lady Moody, simply conducting services in their homes. As stability set in, Lady Moody became a major power in the town, so much so that governor Stuyvesant had to call on her to mediate a dispute over taxes in 1654. Lady Deborah Moody died in 1659 at 73, and Gravesend -- now part of Brooklyn -- still bears her stamp. Some of the streets she laid out in 1643 are still there today. With thanks to Liz Loveland for her editorial suggestion. This story about Deborah Moody was updated in 2018. Second to last paragraph should be 1654, yes? Susan, I think you’ll like this. A woman with a lot of guts, for sure! Interesting as I have never heard of this lady before. I don’t know about picking the name of “Gravesend” though! Kind of a depressing name! Wowza. This lady knew what she was doing. Thanks for a most interesting article. Which tip of Long Island did the lady receive?